2 We can process raw material into different specification, such aswhole, slice, cut and powder according to your specification. Eleutheroside A is a saponin and sterol glycoside while other eleutherosides, such as eleutheroside B (syringin), are phenyl propanoid glycosides. 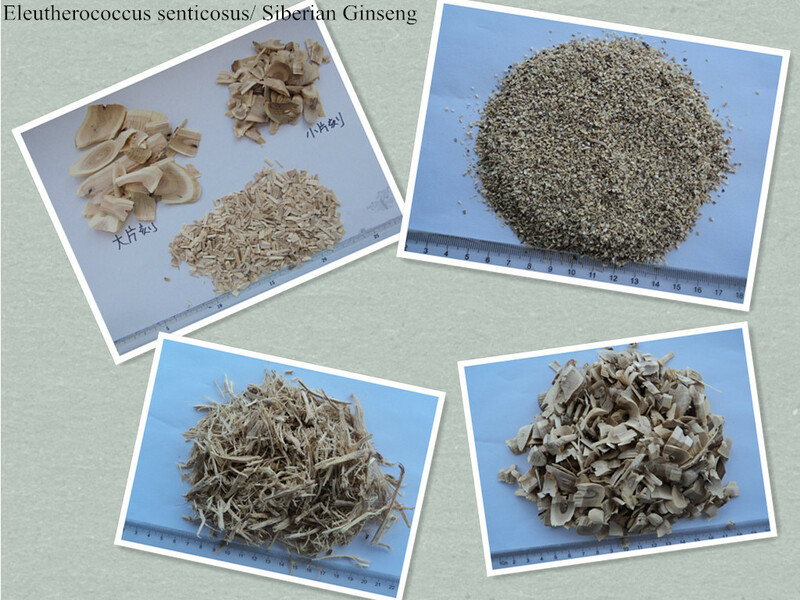 There are no definite effects associated with these constituents, and they rather serve as marker compounds for the Thin layer chromatography identification of Eleutherococcus senticosus herbal preparations and dietary supplements. Eleutheroside E is identical with acanthoside D, which is one of the glycosides isolated from the cluster-flowering acanthopanax and represents the di-β-D-glucoside of (−)-syringaresinol.